Theo has illustrated four children’s books, two of which he has also written himself. Both are available as Kindle e-books on Amazon. Like all Kindle books they can be read on a laptop or most devices, using a free downloadable app. The poems in Finding Dragons (& Driggles) are a pleasure for parents to read aloud for their varied rhythms, narrative, and humour as each brings to life one of the twelve dragons. Each dragon is portrayed in a watercolour. The book is most likely to appeal to children aged 4 to 9. 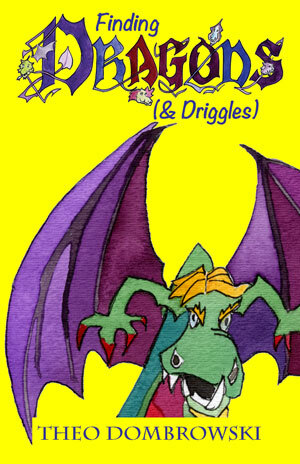 Finding Dragons (& Driggles) is now available as a e-book on Amazon. The original print edition (Dragons & Other Strange Creatures) sold out, but the new revised and expanded edition may reappear in print shortly. The originals of the watercolours of the dragons are displayed for interest and for sale under ARTWORK, DRAGONS elsewhere on this site. 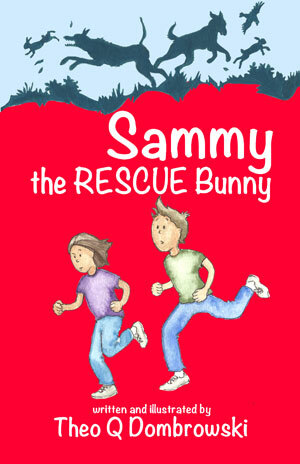 Sammy the Rescue Bunny is a lively prose story with a bunny-level adventure and a children-level message, illustrated by watercolours of the rabbit and the two children who rescue him. It is most likely to appeal to children 4 to 11. It is available as an e-book for a Kindle on Amazon.